Drug use does not occur in a vacuum. Whether a drug is injected, snorted, or smoked, it is used in conjunction with an apparatus. This apparatus, along with items used to cultivate and transport the drug, is considered to be a piece of drug paraphernalia. In Florida, the possession of drug paraphernalia is a first degree misdemeanor. 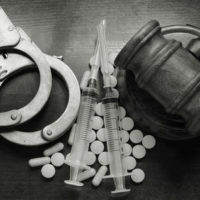 Although the penalties for possession of drug paraphernalia are not as steep as those for the possession of actual drugs, it is a drug crime that can have long-lasting repercussions for a convicted individual. Other items that could potentially be construed as drug paraphernalia include spoons and mixing devices used to compound substances. What Does the Court Have to Prove to Find a Defendant Guilty? The simple possession of one or more of the above items is not enough to convict an individual of the possession of drug paraphernalia. Possession of drug paraphernalia can be actual possession, which means the paraphernalia is on the individual’s person or otherwise under his or her control, or it can be constructive, which means it is concealed or otherwise in an area where the individual has control over it. He or she had control over the paraphernalia. One possible defense to a constructive paraphernalia possession charge is that the item has multiple purposes and that the defendant used it for a legal purpose. For example, the defendant might use a pipe to smoke tobacco. Another possible defense is that the dwelling or vehicle where the item was found was accessed by multiple parties and the paraphernalia belonged to somebody other than the defendant. If you have been charged with the possession of drug paraphernalia, contact our team of experienced Miami criminal defense lawyers at Ratzan & Faccidomo, LLC today to set up your initial legal consultation in our office. Possession of drug paraphernalia is not the same as possession of an illegal drug, but it can leave you with a conviction on your record and jeopardize your liberty just the same. Do not wait to start working on your case’s defense with an experienced criminal defense lawyer.